Google Home now available at Media Markt, Fnac, Worten stores. Price: 149€ or 59€ for Google Home Mini. 20% off Samsung multifunction printers at Hipercor. “No IVA” promo at Worten on laptops until 25 Jun. Also Samsung Galaxy S8 5.8” smartphone in Silver reduced to 529€ until 27 Jun (549€ at Carrefour). 150€ discount on MacBook Pro at Rossellimac stores / online until end Jun. Discounts on Huawei phones at The Phone House 20-26 Jun. Interest-free finance available at Ikea until 15 Jul, repay in up to 30 months. Also at Ikea from 25 Jun to 1 Jul, Skanka paella pan reduced from 14.99€ to 9.99€. Promo on Minde mirror ends 24 Jun, reduced from 14.99€ to 7.99€. Sale on at La Loja do Gato Preto stores and online. Discounts of up to 50% on existing stocks only until 31 Jul. Zara Home promo on crockery, glasses and cutlery. “No IVA” promo at Worten on home appliances and air con. units until 25 Jun. Also 3×2 on Bosch small electrical items and kitchen gadgets until 27 Jun. 20% off Hisense TVs at Carrefour, online only. 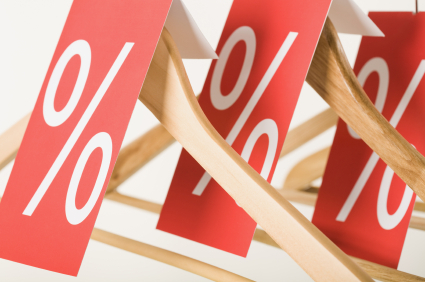 If you recycled clothing at Intimissimi and haven’t used your discount coupon yet, remember it expires on 30 Jun. Up to 50% off Mango Baby selected clothing items. 50% off selected handbags online at Parfois, ends today. Buy at Venca online and get the total amount back in discount vouchers (up to 50€), promo for new clients only. Spend 100€ at Carrefour online supermarket and get 10€ off with code TUVERANO10. World Cup Sales at British Corner Shop with discounts on selected lines of UK favourites. Buy a Juicy Couture fragrance at Primor stores and get a free backpack in pink and black, ends 30 Jun. Mini nail polishes only 1€ each at Kiko Cosmetics. Spend 60€ at L’Occitane and get a free make up bag with 5 mini-sized products, use code VACACIONES until 26 Jun. 20% off at eBay for UK customers only on 23 big brands in tech and fashion, use code PARTY20 valid until midnight 22 Jun, min. spend £10, max. discount £100. Autumn Getaway seat sale promo at Ryanair for travel Sep-Nov, ends midnight today. If visiting Madrid get 10€ off your first Uber ride with code MADRIDENUBER. 45% off everything at Lonely Planet bookstore online. Discount can’t be used with other promos, ends Sunday. 20% off selected suitcases and trolleys at Samsonite online until 1 Jul. Also 40% off trolleys at Carrefour. Midas offers a saving of 30% on car servicing compared with official brands. Compare prices first to be sure! Also get 10% off air con recharge. 3×2 on music at El Corte Ingles and Fnac until 24 Jun. Lindt Sensation Fruit, 3 flavours, by cash back, 2000 available. Purina Pro Plan for adult/senior dogs, register for promo code, buy in store, revisit web to request cash back. Thins Pro bread with vegetable protein, by cash back. Nivea Sun face cream, need to answer short online survey to receive free sachets. Free ice cream (Madrid only) from Rodilla Heladerías, need to show code. Diadermine Micelar products, by cash back, 4000 available.